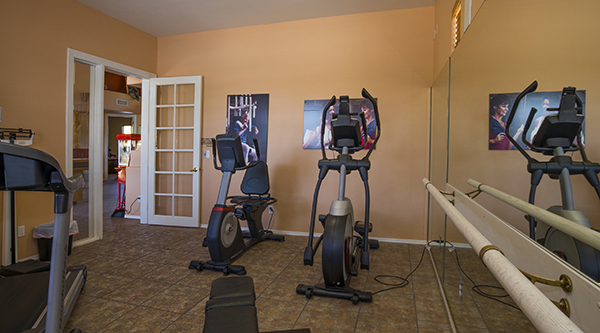 We have two and three bedroom condos both with 2 baths at this location. 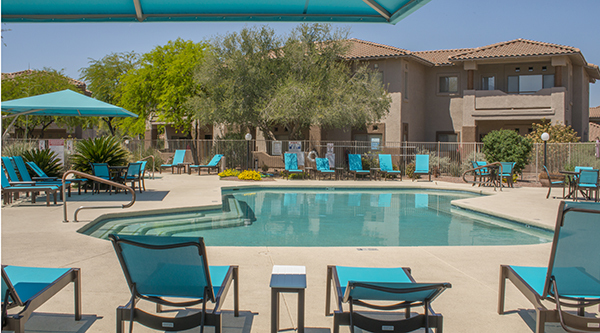 These condos were built as condominiums from the beginning and are not apartment conversions into condos; therefore, you will find more space and better amenities throughout your condo and location. 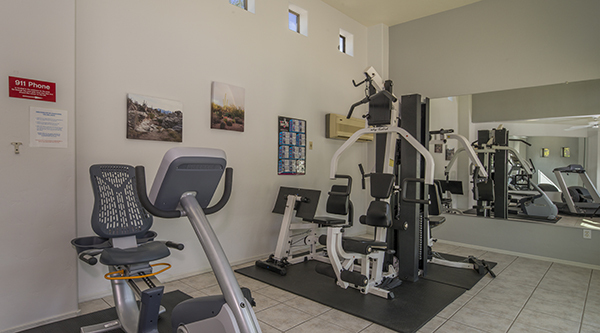 The two bedroom/ two bath condos can be two master suites with a king-size bed in each bedroom or accommodate quad occupancy with two twin-size beds in each bedroom. A typical three bedroom- two bath condo has a king in the master, queen in the second bedroom, and 2 twins in the third bedroom that can be converted to a king-size bed. Flat screen televisions, WIFI and triple sheeting are standards in each condo. 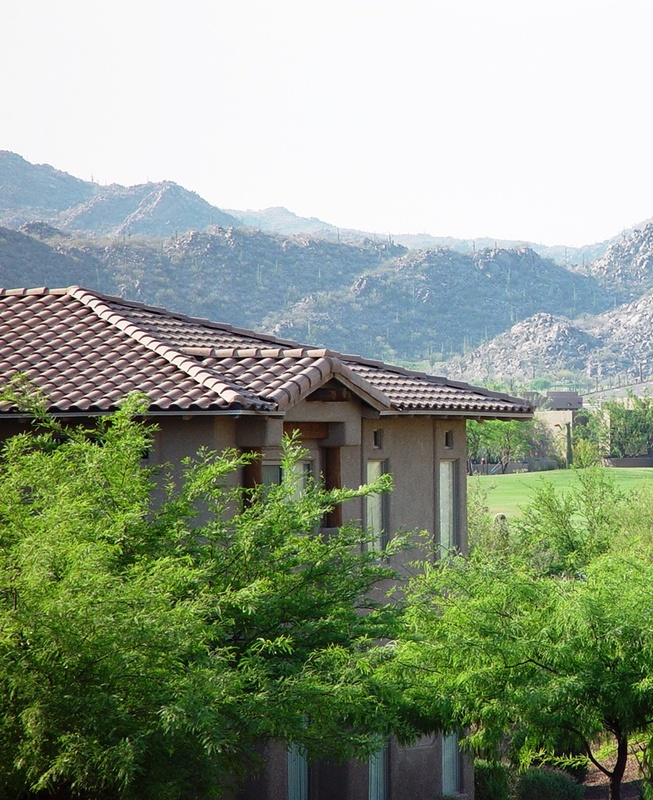 The resort is part of the master planned community of Rancho Vistoso which is surrounded by exclusive homes, private country clubs like The Stone Canyon Club and The Golf Club at Vistoso. 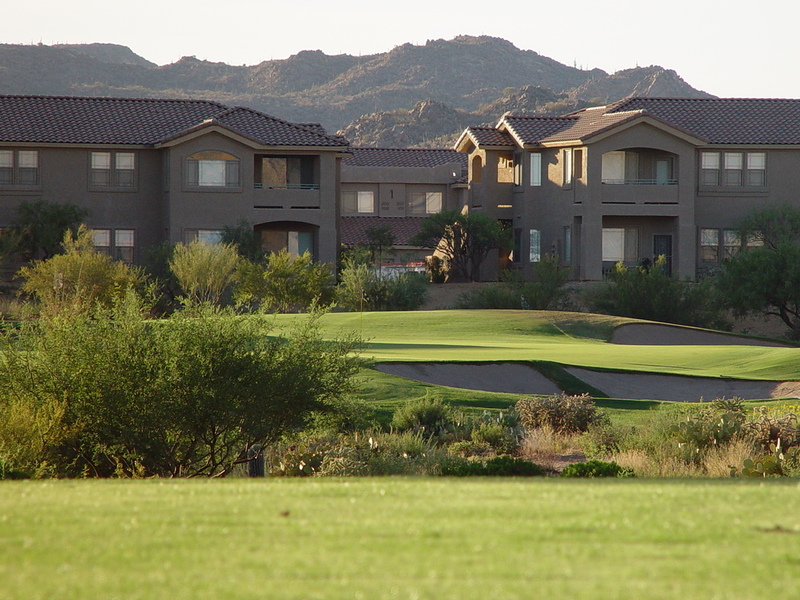 There are a number of condominiums located along the beautiful fairways of this spectacular desert golf course designed by Tom Weiskopf. 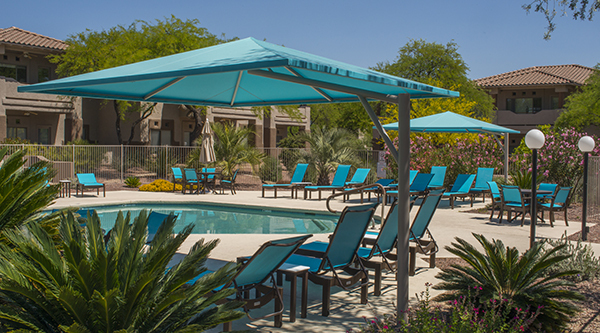 The condos are fully equipped, beautifully decorated and feature spacious living rooms, private patios or balconies. 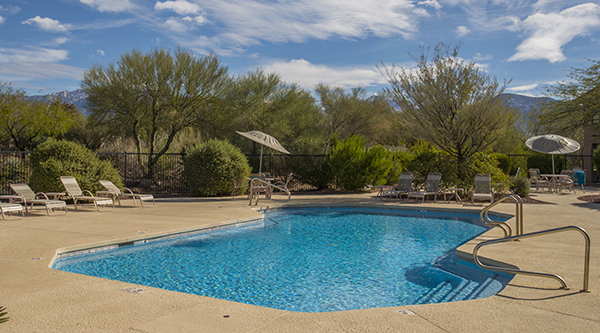 Guests at enjoy a large heated pool big enough for swimming laps, a spa for 3 foursomes, a fitness center, BBQ grills, and breathtaking golf course and mountain views. 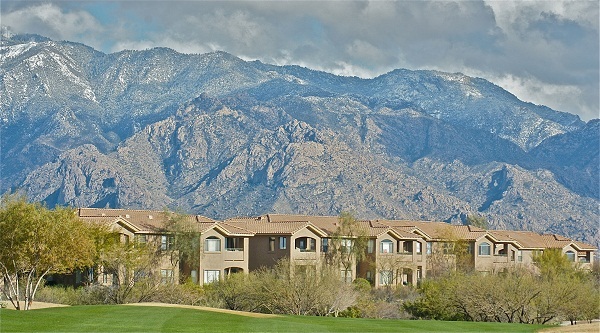 This area is a golfer’s paradise! 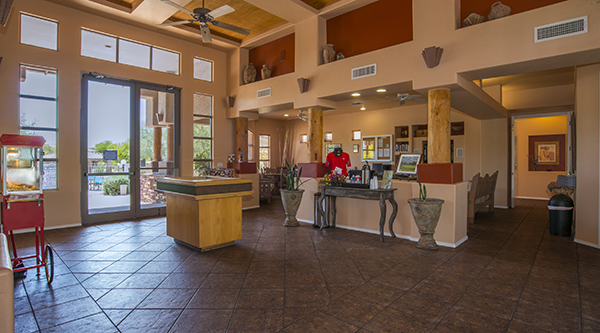 Walk to the golf shop and restaurant and enjoy a margarita, glass of wine or beer on tap as you take in the Catalina Mountains and the 9th green- you might even see a bobcat, roadrunner or javelina!